BULLSEYE—Written, designed and performed by Christopher Eaves, BULLSEYE is a theatrical memoir on brotherhood, bullying, identity and intolerance. Eaves tells the story of his younger brother who was "the most bullied kid in school." Two adopted brothers growing up in a rural American town: Christopher is quick, bright and adaptable. His brother is small, a poor student and achingly innocent. Amid the pastoral beauty of their surroundings, the brothers come up against the inherent cruelty in all of us. Christopher manages to survive through speed and wit. His less nimble, sweet-natured brother is caught in the cross-hairs of his tormentors, with nowhere to run. Threaded through his brother's story is Eaves' own struggle—a kid fighting to keep his identity a secret because he knows that if it's revealed then he too will be bullied. Ultimately the play is a love letter to his brother who he not only failed to protect but also, unwittingly, bullied. This is the story of a deep and abiding love. This is the story of BULLSEYE. BULLSEYE premiered on March 9, 2013 at the Indiana Convention Center as part of the Bullying Prevention: Creating a Culture of Acceptance symposium. Andi Hauser, television host of Indy Style: Lifestyle, heralded BULLSEYE as "A world class performance." 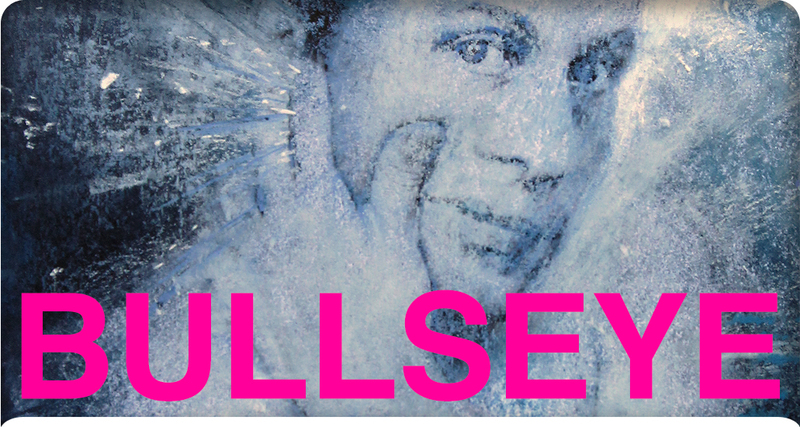 In October 2014 BULLSEYE toured South Korea with the support of the U.S. Embassy, Seoul. Following the program’s success, Eaves was selected for the U.S. Department of State Speakers Bureau. BULLSEYE made its New York stage debut at Stage Left Studio’s Left Out Festival in April 2015 with two sold-out performances to benefit Bailey House. Additionally, the play has been performed at student assemblies and at professional development seminars for educators. BULLSEYE is dedicated to the life and friendship of Tina Minton Rogalski. Illustration by Juan Bastos. Produced by eavesdrop.